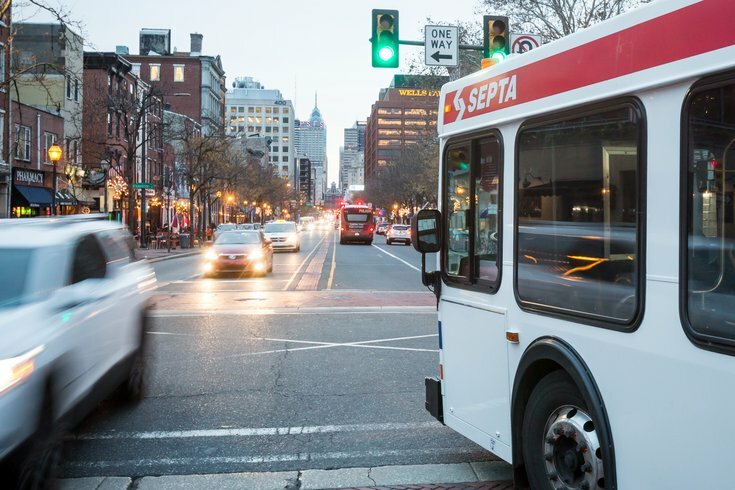 The American Civil Liberties Union is suing SEPTA after the transit agency refused to run ads about housing discrimination from the Center for Investigative Reporting. CIR created the ads using findings from a report that delved into racial discrimination in the home mortgage market. The report garnered data from 61 different cities in the U.S., including Philadelphia. The center, which is nonpartisan, made ads displaying different graphics from the study. SEPTA refused to post the ads on its buses and trains, as well as in it's stations, saying they conflicted with SEPTA’s policy banning all political advertising. Now the ACLU is suing SEPTA for this policy, saying the ban on political advertising is unconstitutional and a violation of First Amendment rights. “Debate on public issues is the cornerstone of participatory democracy,” said ACLU of Pennsylvania Executive Director Reggie Shuford in a statement. SEPTA didn’t always ban political ads on its buses and railcars, however. The policy is relatively new, implemented in 2015 after an anti-Muslim campaign ran that many found especially hateful and offensive. The 2015 ad, which depicted Adolf Hitler with Palestinian Arab nationalist Haj Amin al-Husseini with the caption, “Islamic Jew Hatred: It’s in the Quran,” ran on 80 buses throughout the city. SEPTA initially fought in federal court to ban the ads but a ruling favoring free speech prevailed. In order to escape similar incidents in the future, SEPTA moved to outlaw all political ads, prohibiting 22 different categories of advertisements.